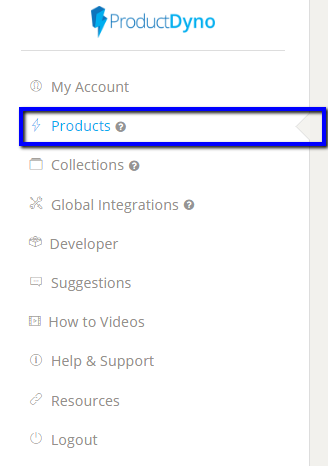 The Products Dashboard is sort of like your "catalog" of what you have to sell and give away - only you will see this. 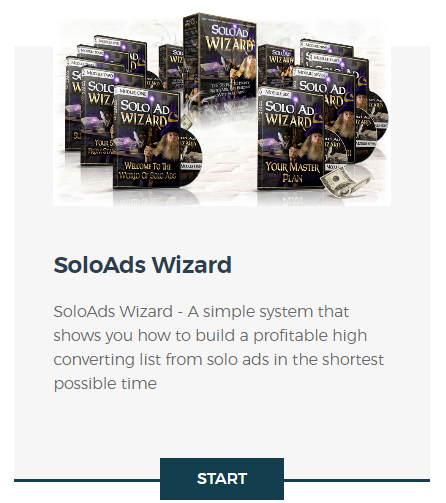 There are 2 ways to use the products in this "catalog"
or a "basic module" of a course and one or more "advanced" ones. 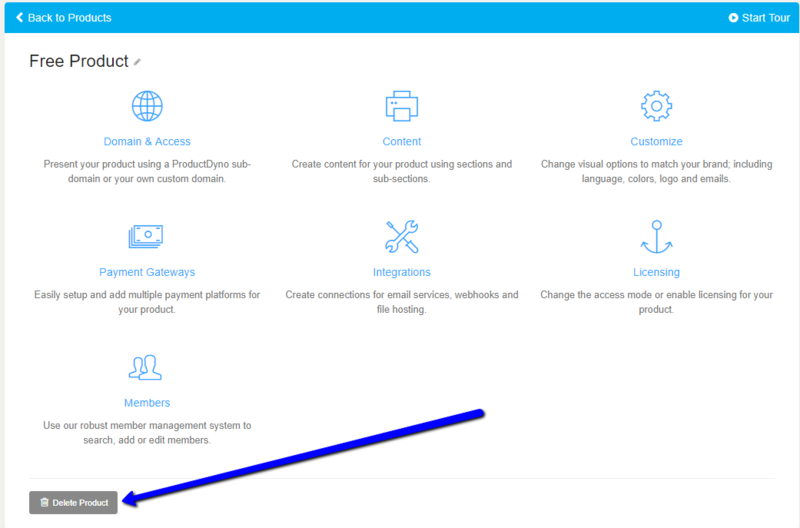 If you plan on using the second option - then you need to complete only the the "Content" and the "Videos/File Hosting" (we'll come to this!). This is because you will then "gather" these products into a Collection and complete the other sections in the Collection. 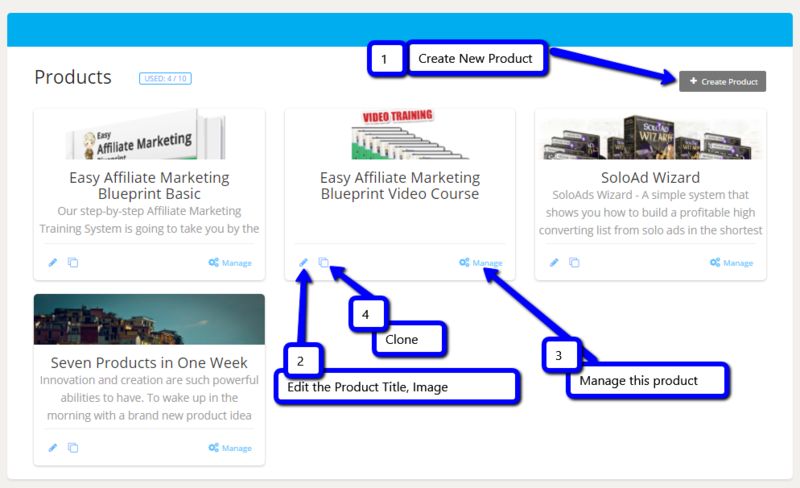 Click here to create a new product "from scratch"
This is where you can set up what your members are going to see for this product: a description and featured image. 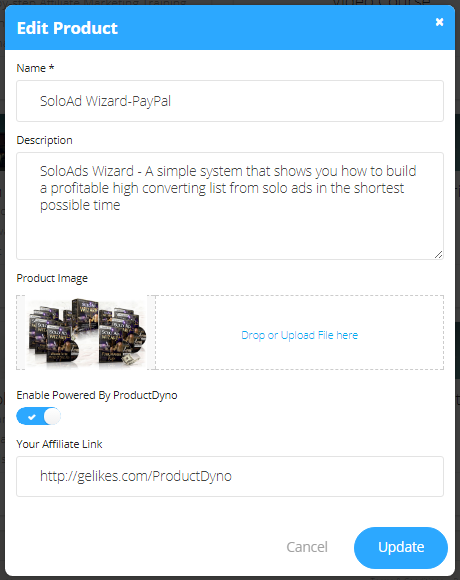 You also set the options for the "Powered By ProductDyno" link here. Check out this article. 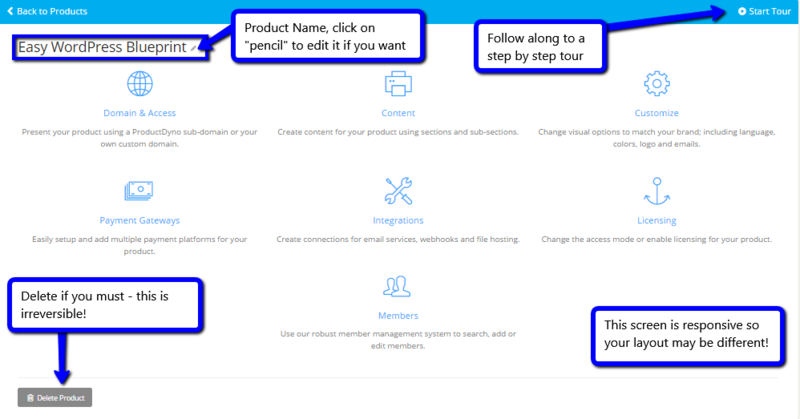 from where you proceed as for a new product. 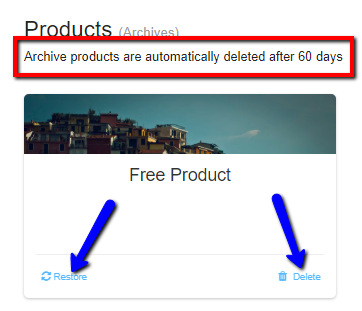 If you click YES - the product will be Archived.